Tickets are officially on sale for the 23rd annual Vail Jazz Festival’s summer of sizzling live performances, which includes a broad lineup of international, national and regional acts spanning the gamut from blues and soul to swing, bebop, gypsy jazz, Latin and more. 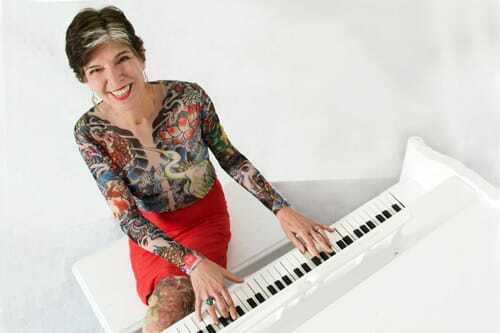 From rollicking roadhouse to bouncing blues to tear-inducing ballads, Marcia Ball hits the keys of her piano with a heartfelt, harmonious slam on every note. The award-winning storyteller from Texas returns to Vail with her alternately steppy and soulful, Louisiana-inspired tunes. If this doesn’t sound like a big deck party, we don’t know what does. The New Orleans theme blows up 10-fold (11-fold, actually) with this electric, brass-heavy collaboration. Pianist and vocalist Henry Butler and trumpeter Steven Bernstein lead an explosive ensemble through sounds of pop, R&B, Caribbean, classical and traditional, fiery, impromptu jazz. 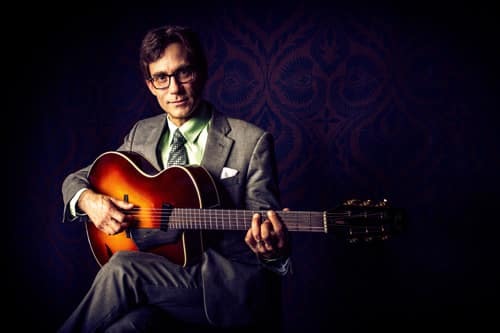 Six-string phenom Frank Vignola is no stranger to Vail, but this summer he channels the hypnotic mystique of gypsy jazz legend Django Reinhardt. Tapping into the era of Reinhardt’s Hot Club of France, Vignola leads his own international quintet in a smoking hot tribute. Step out of a time machine to take in one of jazz history’s most show-stopping duos. Ella Fitzgerald and Louis Armstrong are brought back to life via the magic trumpet and vocals of Byron Stripling and Count Basie Big Band singer Carmen Bradford. 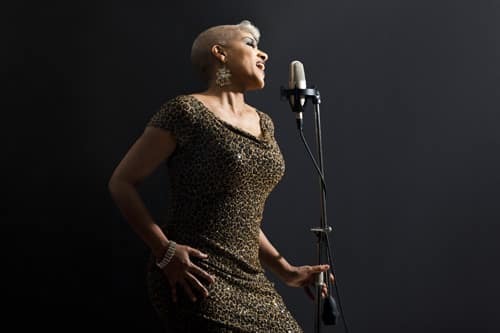 The songwriter and swanky singer brings her seductive, larger-than-life vocals to Vail Square, tapping into flavors of folk, swing, classical and R&B. Whatever the selection of original numbers, the two-time Grammy nominee’s 10-year anniversary rendition of her sixth album, Experiment in Truth, will hypnotize. Combining sultry vocals with enchanting piano, Grammy winner Eliane Elias schools audiences in the art of Samba. Digging into her Brazilian roots, the celebrated composer makes her highly anticipated return to Vail, as is considered one of the top highlights of the 23rd Annual Festival. 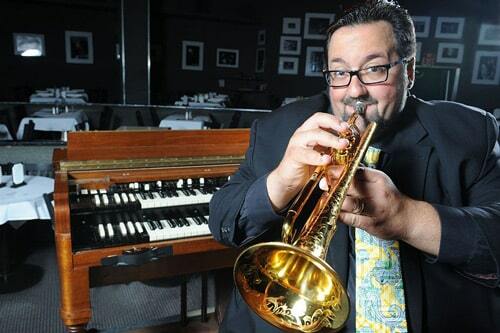 If ever there were a way to describe the B-3 organ as “light and infectious,” it would be due to the unique talent of showman Joey DeFrancesco. The prolific, Grammy-nominated musician also belts out some big vocals, toe-tapping trumpet and knows every in and out of bebop. Kicking off the 23rd Annual Vail Jazz Party and five days of wall-to-wall live music featuring the world’s top names in jazz, this triple bill brings a freshly tuned lineup of 12 teenage rising stars, star alumni and shining jazz stars – deeply established mentor musicians John and Jeff Clayton, Wycliffe Gordon, Terell Stafford, Bill Cunliffe and Lewis Nash. The Vail Jazz Festival culminates with its marquee event, the 23rd Annual Vail Jazz Labor Day Weekend Party. More than 35 nationally and internationally acclaimed headlining artists descend on Vail for nonstop indoor and outdoor performances. Highlights for 2017 include Jeff Clayton’s Tribute to Cannonball Adderly, Jeff Hamilton’ and Butch Miles’ multimedia Tribute to Buddy Rich, Byron Stripling’s multimedia presentation of Cole Porter & The Jazz Connection, Niki Haris’ Gospel Prayer Meetin’ and Adrian Cunningham’s CD Release Party. Tickets are available for individual sessions as well as for the entire multi-day event in the form of Performance and Patron Passes. Back by popular demand, Alpine Bank and Kaiser Permanente present Vail Jazz @ Riverwalk, expanding this summer to six events. 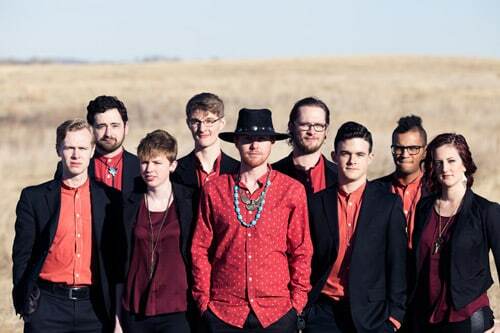 The series brings free live music to the Riverwalk Backyard Amphitheater in Edwards twice monthly on Friday afternoons beginning June 9 with energetic nine-piece soul rockers, The Burroughs. Vendors include Eat! Drink! of Edwards, serving delectable paninis and salads and rotisserie-themed Revolution, bringing barbeque with international flair. The family-friendly, picnic-style atmosphere continues June 23 with New Orleans flavored Otone Brass Brand, rhythm and blues group Phil Wiggins and George Kilby Jr. on July 7, contemporary jazz saxophonist Nelson Rangell on July 21, the U.S. Air Force Academy Falconaires Big Band Aug. 4 and sizzling salsa 12-piece Quemando on Aug. 18. With arts and crafts activities provided by Alpine Arts Center, entertainment options abound for every age group. Follow your ears to more free live music every Sunday beginning June 25 at the Vail Farmers Market with a rotating lineup of acclaimed regional acts at Vail Jazz @ The Market from 12 to 3 p.m. in the Solaris tent. Showcasing home-grown, Colorado talent, the series features longtime favorites like the Max Wagner Quartet (June 25), the Chuck Lamb Quartet (July 30), while also introducing new acts like Los Chicos Malos (July 2) and Joe Smith & the Spicy Pickles (Aug. 20). The swanky club-scene of The Remedy and Vail valley jazz legends, Tony Gulizia and Brian Loftus (“BLT”) come together every Sunday night at 8 p.m. for Vail Jazz @ The Remedy. 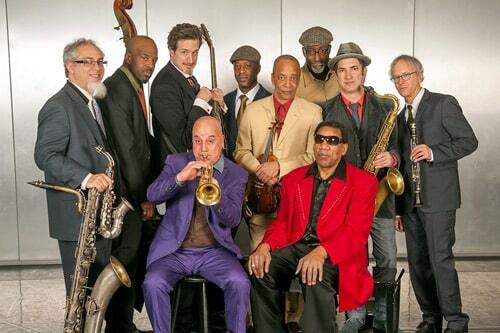 Held at the Four Seasons Resort, guest artists join BLT each week for memorable jam sessions beginning on June 25. All Vail Jazz Festival tickets are on sale now at vailjazz.org. For more information, visit vailjazz.org or call 888-VAIL-JAM. 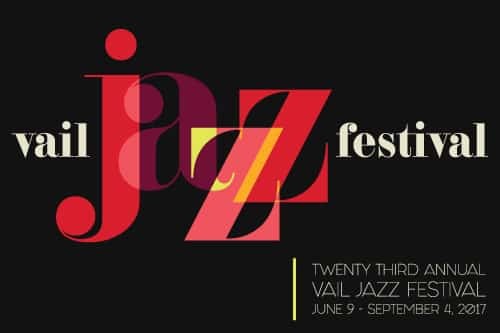 The 23rd Annual Vail Jazz Festival is generously supported by the Town of Vail, Alpine Bank, The Lion Vail, The Jazz Cruise & Blue Note at Sea, Colorado Mountain Express, Kaiser Permanente, Anheuser-Busch, The Vail Daily, and a variety of Community Sponsors. For a complete list of events sponsors, visit vailjazz.org. Stacked with Grammy winners, fixed and fresh faces, 22nd Annual Vail Jazz Festival is set to launch Vail Jazz turns on the hot jets for a full summer of shows Line up for 19th Annual Vail Jazz Festival Announced Chief of the Congueros Vail Square lineup, new Club Series and live tunes at Sweet Basil!